In the war between darkness and light, everyone has a shade of gray. When Taylor has to choose between saving her love Lucian and fighting Lilith and the darkness that threatens to overtake the world, her destiny becomes the hardest choice she will ever have to make. I was lucky enough to have Annalee send me the second book in her Celestial Rose series and honestly guys, I know this is the beginning of the review, but I have to tell you that I've already been on Amazon looking to see when the third book is going to be released. Twists, turns, new characters, familiar characters and all of them wonderful! I started reading and couldn't stop. Just ask my cat who enjoyed a nice nap on my back while I sprawled out on the couch! There is so much that I want to say but I can't because it will be spoiler city! There's something about the author's writing style that it always takes me a chapter or two to slip into it. I know I've filed this under bad but it really isn't, it's just different and once I get going, I can't stop reading. 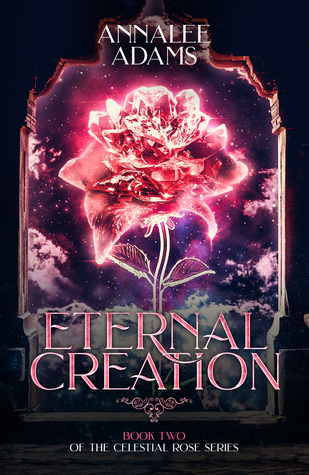 Go and buy Eternal Entity, this book, and pre-order Eternal Devastation. It's been a long time since I've been so excited about reading a series and this one has me wishing Eternal Damnation was on my Kindle right now so that I could read it!